Organisations have moved away from implementing incremental changes to large scale transformations in response to industries and markets transforming at an ever increasing rate. Employers are expecting more from their staff and staff expect their organisation to support them with new technologies, facilities and efficient ways of working. The Transformation3 methodology is a complete suite of defined activities that ensures a dynamic and effective implementation of large scale and complex change. 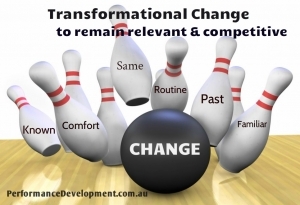 The Transformation3 approach focuses on developing a strong picture of where you are now which provides a foundation for building on and defining where you want to get to. It provides a real-time way of assessing and responding to the needs of your organisation as it transforms. How did ‘Management of Change’ rate in your last employee engagement survey? This interactive 2-day in-house course will provide your senior professionals with a comprehensive skills development program focusing on transformational change using the Transfomation3 approach. The course is designed for individuals who have some experience in leading or participating in change programs and builds on core change management skills. 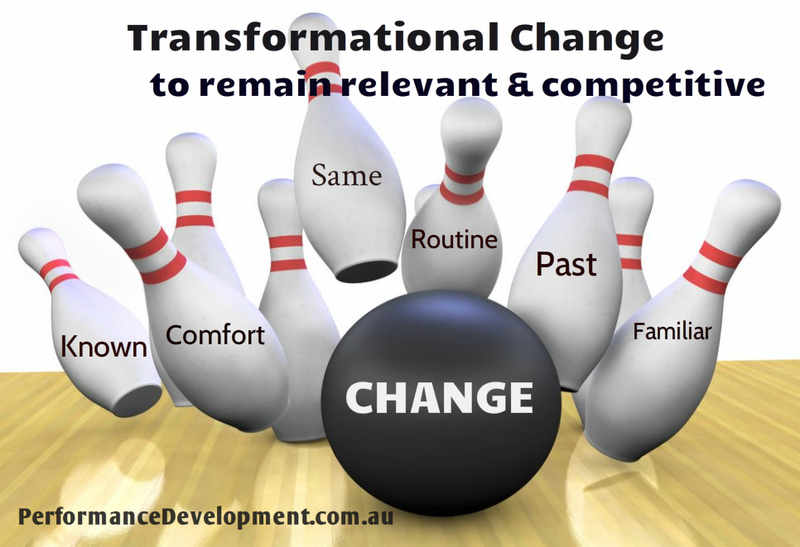 To equip senior professionals with the tools, frameworks and concepts they need to lead and support Transformational Change, using the Transformation3 approach. Over the past 5 years, Miranda Jensen has held senior corporate roles as Change Manager in both public and private sector organisations- as well as working as a senior consultant on organisation transformation projects. She brings to this training first hand experience in facilitating major change projects, which is further combined with a rigorous academic study of the the critical success factors in transformational change management.